Something REALLY doesn't seem right here.... 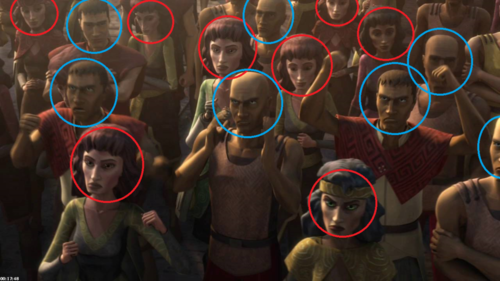 Okay, so I was watching the Onderon arc from Clone Wars season 5 when I noticed something; every woman on Onderon, except Ahsoka, Steela and one other soldier woman, is THE SAME WOMAN. 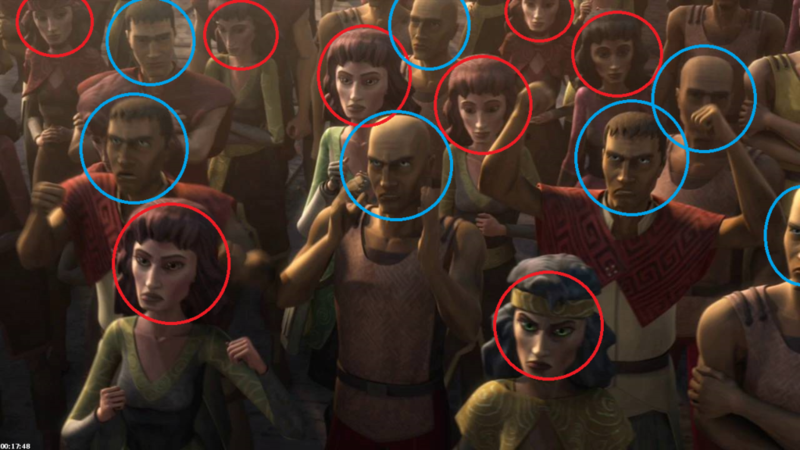 Sure, they change her hair colour, her skin a little, maybe her c. HD Wallpaper and background images in the ster Wars: Clone Wars club tagged: onderon season 5.